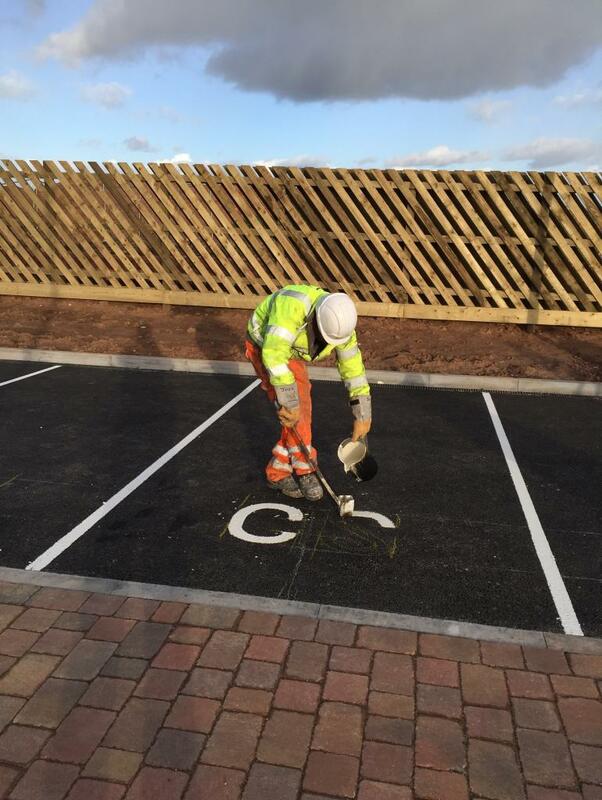 As with all lining jobs, good preparation is key so the crew spent the first part of the day marking out the lines using chalk. 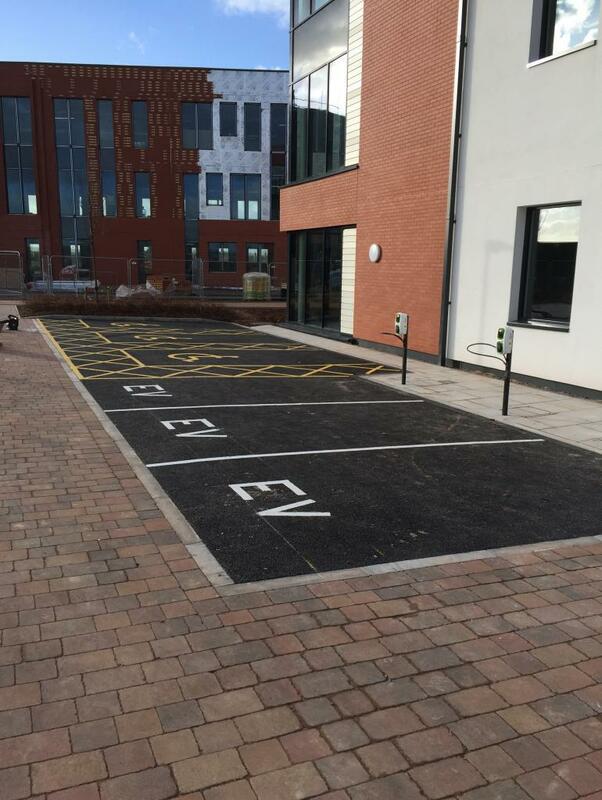 Some 70 standard parking bays were marked using white thermoplastic with 67 of these having specific letters to identify the relevant owners and another three having an 'EV' marking to denote charging spaces for electric vehicles. 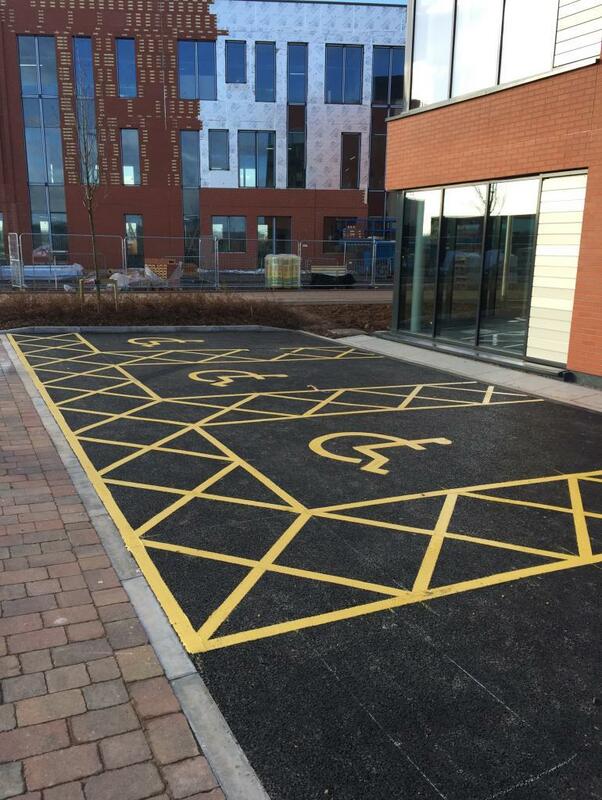 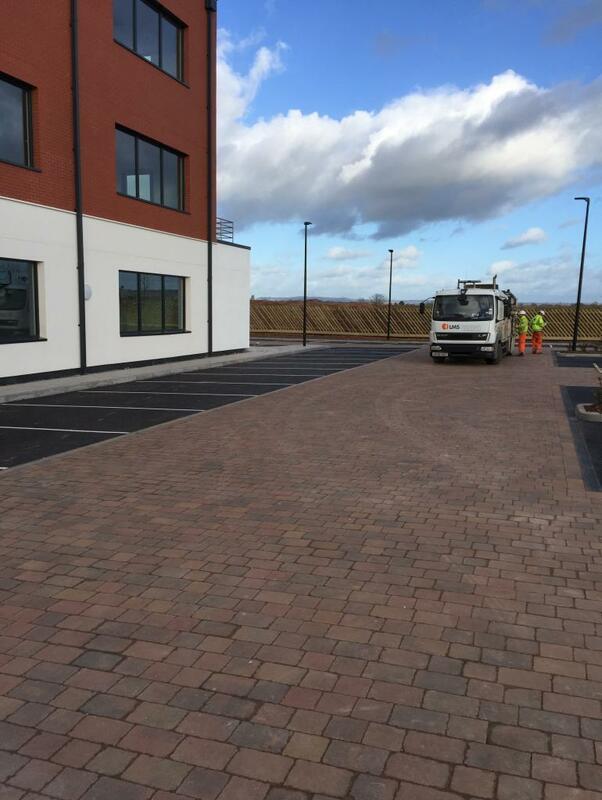 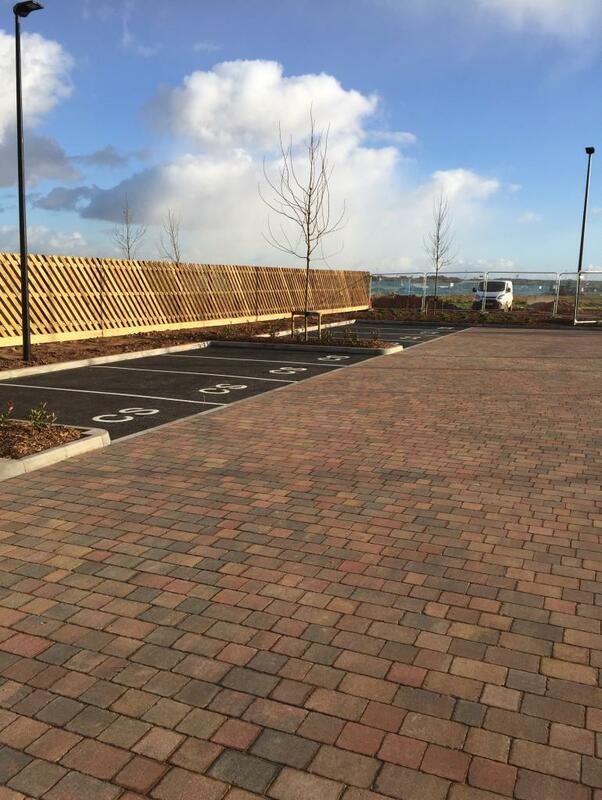 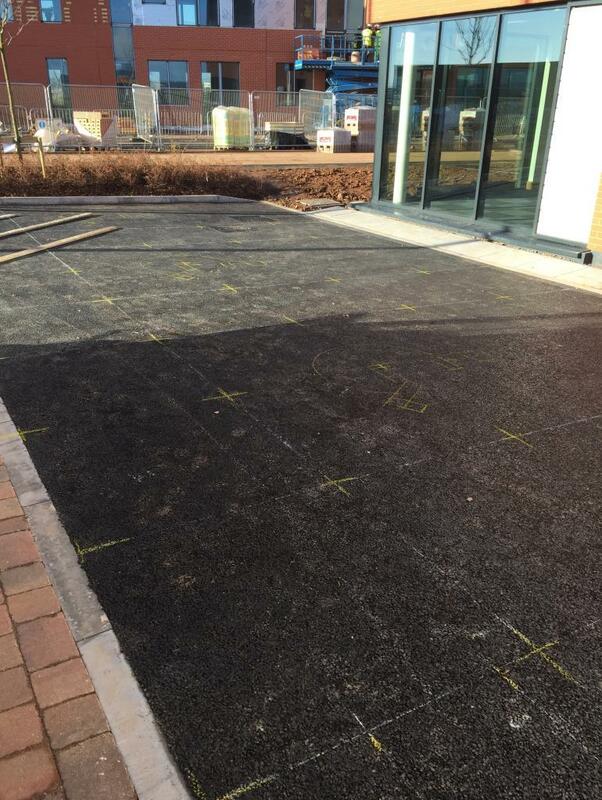 An additional 3 disabled bays with all the appropriate symbols and hatching to the border were created using yellow thermoplastic. 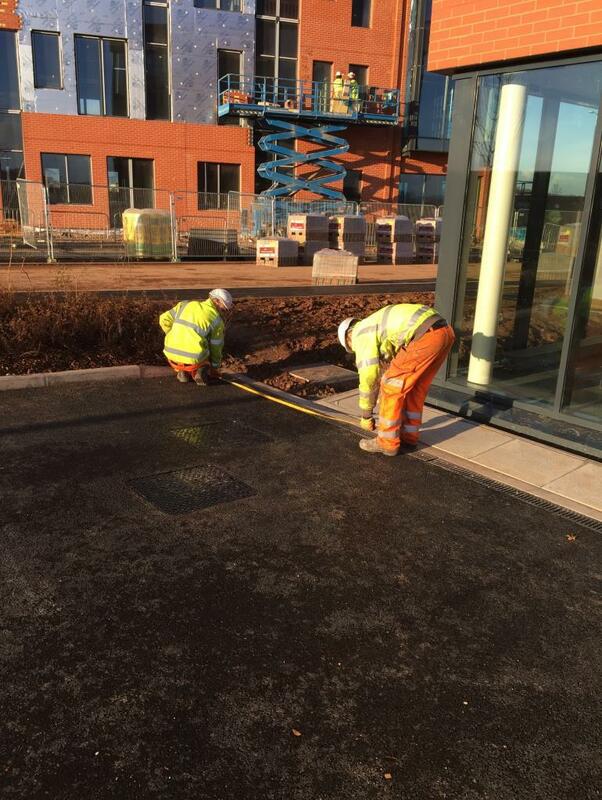 Work carried out December 2017 in Exeter.